Even though we’re a few weeks into January, I’m still thoroughly in New Year’s mode. Which means a carefully crafted list of resolutions. Probably like you, I’m working on being a healthier person (they say adults should get seven to nine hours of sleep a night! ), traveling more (hello Greece! ), and learning to de-stress (it’s time to learn meditation). And definitely like you, I have a couple of bookish resolutions I’m aiming for—the biggest of which is to read at least 12 nonfiction books this year (one a month). For me, that’s a pretty lofty goal because I’ve always preferred escapist fiction or contemporary literary fiction. 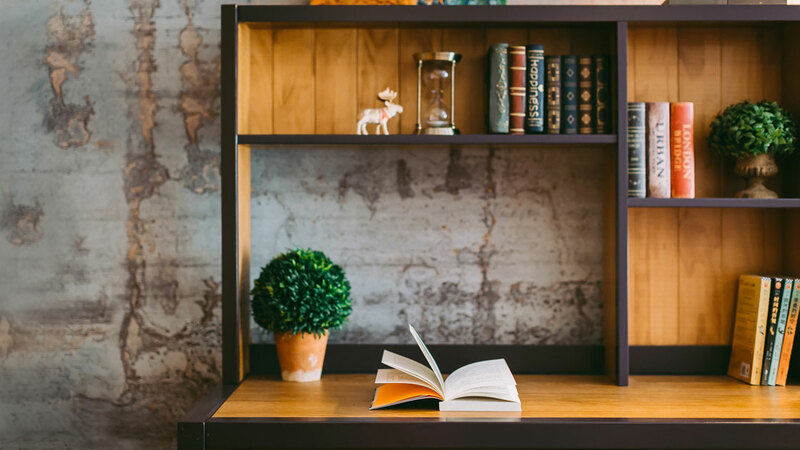 But there’s a lot of amazing nonfiction out there—from memoir to history to humor and beyond—so it seems silly to limit myself. Here’s a list of nonfiction reads that I’ve bookmarked and am resolved to finish this year. And if you have nonfiction picks for me, let me know on social media @ShefaliLohia on Twitter and @shefallsgracefully on Instagram! I’ve been trying to finish Hyperbole and a Half forever. 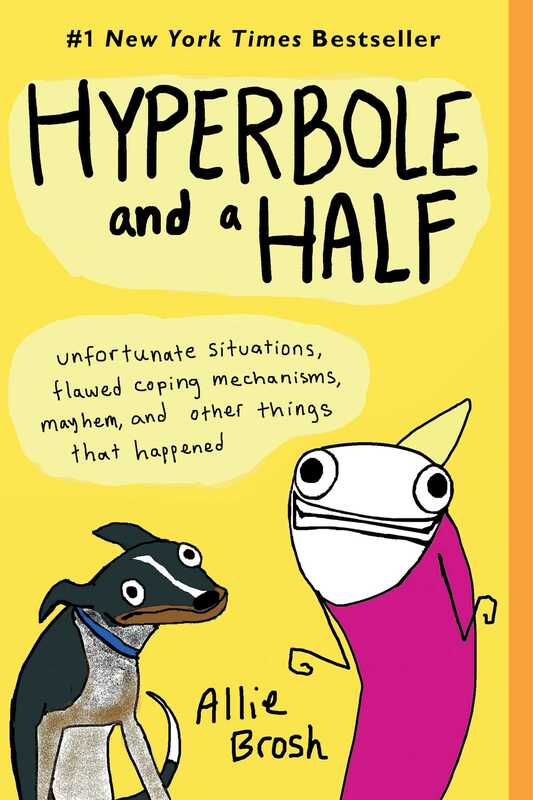 Written by Allie Brosh (with the subtitle Unfortunate Situations, Flawed Coping Mechanisms, Mayhem, and Other Things that Happened) and inspired by her award-winning blog of the same name, this graphic memoir consists of illustrated personal essays about her life. The stories cover everything from the hilarious (an unfortunate childhood incident involving hot sauce) to the heartbreaking (Allie’s battle with depression). Lauded as an amazing book by basically everyone who’s ever read it, Hyperbole and a Half has been on my TBR for a long time. I’ve been avoiding it to some extent because I know I will find some truths there about my own flawed coping mechanisms and emotional challenges. But in the name of progress, this will be the year I finish it! I’m ashamed to say I still call my mother to help me figure out (most) money-related things in my life. 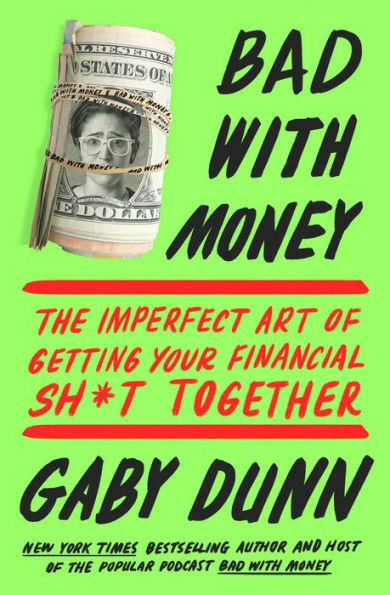 As someone solidly in her mid-20s though, I feel like it’s finally time to rip the Band-Aid off—and Bad with Money by Gaby Dunn will be a big help in that struggle. Based on her podcast of the same name, Bad with Money is part-memoir, part-advice book. Gaby writes about her own struggles with finance-related stuff—from when she was in college to her life now as an economist and social influencer with a steady income—reminding us (millennial) readers that dealing with money is hard, and we’re not alone. There’s a lot of actionable advice in the book too (like how to make the freelance life work for you! ), which will help you make incremental changes on the path to financial nirvana. So, if like me, you’re trying to invest this year or just get more moola into your savings account, pick up Bad with Money so we can all get better at it. You’ve probably already heard about The Library Book—and possibly already read it! The January pick for the Reese Witherspoon x Hello Sunshine Book Club, this title has basically become the book for bibliophiles—which, obviously, you and I all are. The book unpacks the story of the fire that ravaged the Los Angeles Public Library in April of 1986, which reached 2,000 degrees and burned for more than seven hours. By the time it was extinguished, it had consumed four hundred thousand books and damaged seven hundred thousand more. More than thirty years later, the mystery remains: Did someone purposefully set fire to the library—and if so, who? 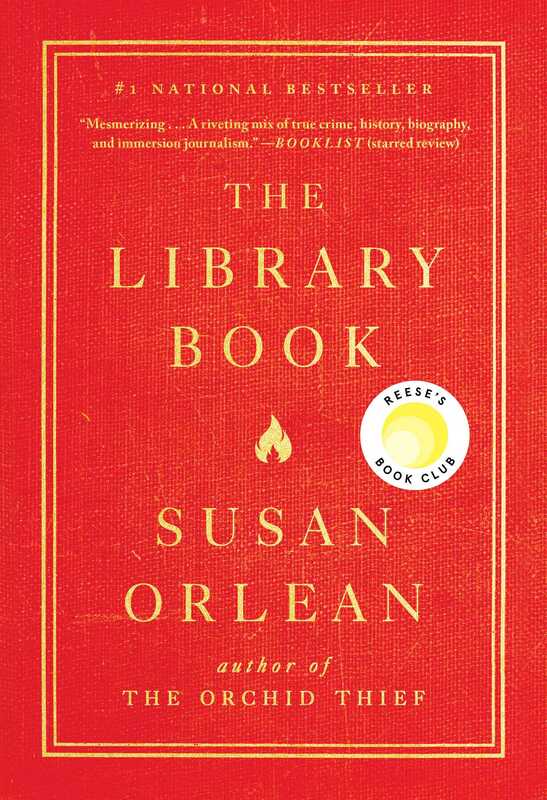 Author Susan Orlean weaves her lifelong love of books and reading into an investigation of the fire, ultimately delivering a mesmerizing true crime tale that manages to also tell the broader story of librarians and libraries—and how much we need them. 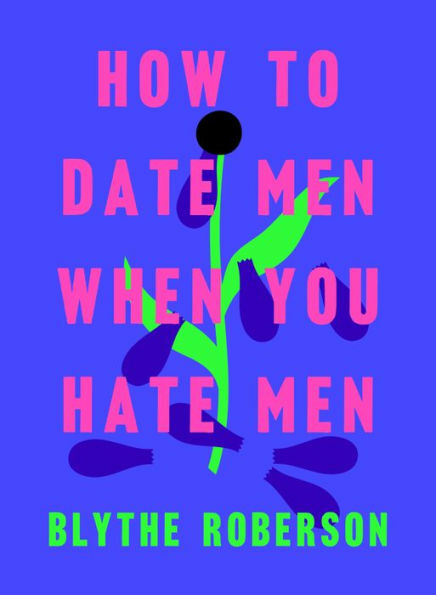 How to Date Men When You Hate Men has been on my list since I first saw the beautiful and illuminating cover pop up on my Instagram feed. Part philosophy, part satire, all comedy—the book is written by New Yorker and Onion writer and comedian Blythe Roberson. In How to Date Men When You Hate Men, Blythe investigates what it means to date men in modern society. Featuring sections such as conversations with men “about whether or not it was a real date,” I fully expect this collection to give me all the dating advice I ever needed—while making me laugh every step of the way. Romantic love can be a complicated thing. At my fairly young age, even I know this. And I strongly believe that people can’t be forced or compelled to follow the systems they’re familiar with (whether they found those systems through parents, community, faith, or the media) because we all have to find our own way—and often those ways are quite different from one another. And for this reason, I love reading about other people finding their way in love (special shout-out to How to Fall in Love with Anyone by Mandy Len Catron). 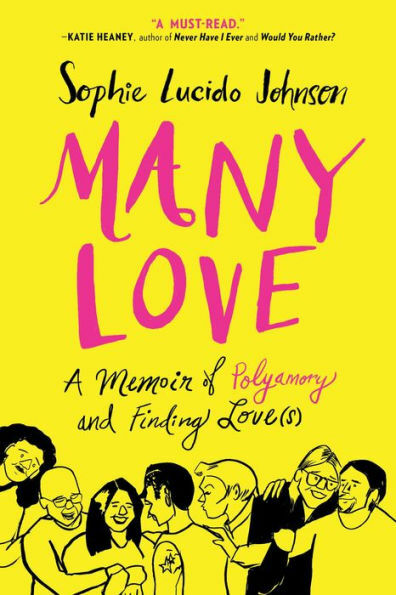 In Many Love, author Sophie Lucido Johnson explores her sexuality, her values, and society’s commonly accepted forms of romantic loves—and the realization she came to at a young age that the love she was looking for was down a road less traveled (polyamory). Sophie shares what it’s like to “play” on Tinder side by side with your boyfriend (gasp! ), encounter and conquer many types of jealousy, embrace the power of female friendship, and other—sometimes surprising—truths she found when she stopped looking for her OTL (“one true love”). Lizzie Borden has been a person of interest for a long time. I read about her in history class as a kid (and not just because I grew up in Massachusetts!). I watched the Lifetime docudrama featuring Christina Ricci, and I’m planning to see the new biopic film starring Chloë Sevigny and Kristen Stewart soon. 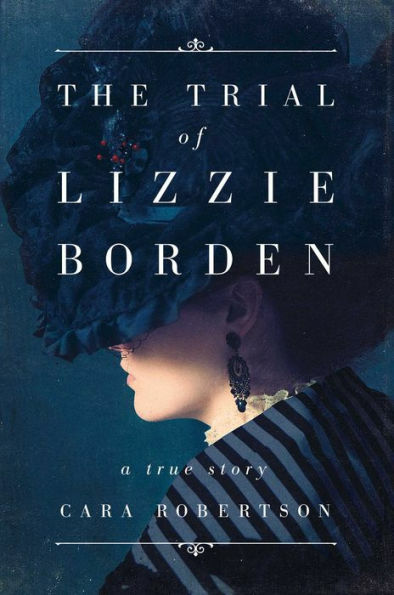 On top of that, I’m planning to read The Trial of Lizzie Borden, a new book about the old myth—which is based on twenty years of research and recently unearthed evidence (letters from Lizzie Borden herself!). Author Cara Robertson explores the culture and era in which the Borden story unfolded, examining what people thought of women and the roles they played at the time and the kinds of stories they expected to hear—and how that those expectations influenced the debate inside and outside the courtroom.